IS A PATIO AND A PERGOLA THE SAME THING? Patios and pergolas are easy to mix up and the main difference between them is the materials used in their construction. While patiosare solid structures with supports (like pergolas) they are constructed with steel which is more durable and lasts longer. What is difference between porch and patio? A patio is ground level, while a deck is raised from the ground by at least a few inches. … A deck can be multi-level. A veranda is a term used mostly in the South. It is a large, open porch, It usually has a roof and sometimes is partly enclosed with a railing. Where does the word patio come from? Technology has changed many things in the last few years. it has effected many fields of work and institutions. One of the greatest areas technology is rapidly changing is construction. As in most fields we want to decrease our building times and increase our productivity. Technology has aided this need, but It has also changed the way we make materials; they too are no more flexible and stronger. We now have more options – even in the field of patio covers. so instead of simple designs and short spans, Alumawood can cover long spans due to its light weight. Alumawood is a composite material that is specifically designed and engineered to last, and eliminate all those problems caused by natural wood. That’s right! 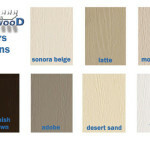 take a look at our color chart to see a reference of the different types of colors we can provide. you never have to paint it. It’s embossed on. its also maintenance free and the material is guaranteed. Throughout history patios were build with seasoned wood, now technology has advanced it to new levels. Now is your time to catch up and join in the revolution! Place your order today !